We have been at the forefront of advertising funded publishing for many years. With years of experience in publishing, print, digital solutions and advertising services, we are able to provide the highest levels of design, project management and customer service. We offer a wide range of fully funded publishing options and marketing services to public and private sector organisations throughout the United Kingdom. These include local authorities and government bodies. Our comprehensive publishing service is offered in print and across multiple digital platforms. We provide a wide range of services including; publishing, design and print, advertising sales and distribution service. Our aim is to combine our experience with your vision to produce a publication that promotes your organisation to its maximum potential. United Publishing Group was established in 1927 and produced official publications for over 1000 local authorities throughout mainland Britain and Northern Ireland. In 1988, Local Authority Publishing Co. Ltd was formed by former management of the United Publishing Group. Between them, the new management team had in excess of 70 years' experience. Local Authority Publishing quickly established an excellent reputation with authorities and advertisers for producing high quality publications. Since 1988 the Company has continued to expand and is based in its own freehold office building in East Sussex, where it continues to provide a first class service for its local authority clients. 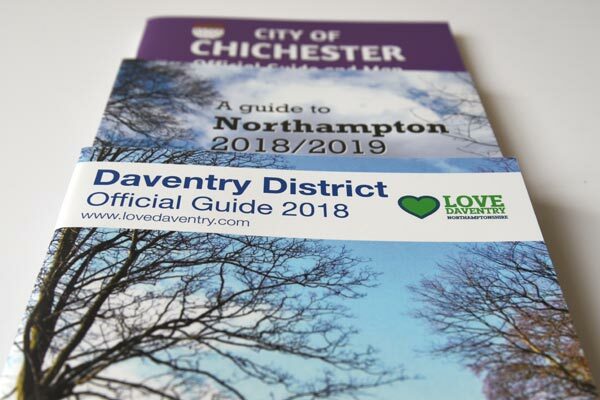 The Company is now the leading publisher of local authority and independent, area and specialist guides. Local Authority Publishing is part of a network of three hundred and fifty Ordnance Survey business partners across a wide range of markets, from multinationals to start-ups. We all have the same goal of licensing their data so that we can provide our customers with the perfect solution.